FIGURE 2 (A) Conjunctival nodule related to sarcoidosis. Note the circumscribed epithelioid inflammatory nodule, without necrosis (noncaseating). (B) Histopathology of a similar nodule. Note inflammation in surrounding areas, including plasma cells. There are no giant cells. Source (A) Courtesy of Dr. Glenn Jaffe, Duke University Eye Center. (B) Courtesy of Dr. Alan Proia, Duke University School of Medicine, Department of Pathology. 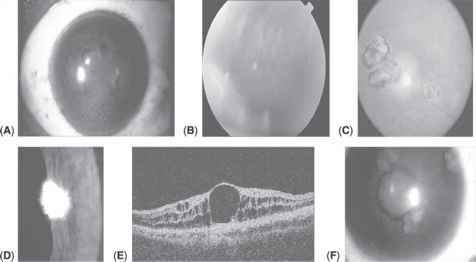 FIGURE 2 (A) Conjunctival nodule related to sarcoidosis. Note the circumscribed epithelioid inflammatory nodule, without necrosis (noncaseating). (B) Histopathology of a similar nodule. Note inflammation in surrounding areas, including plasma cells. There are no giant cells. Source (A) Courtesy of Dr. Glenn Jaffe, Duke University Eye Center. (B) Courtesy of Dr. Alan Proia, Duke University School of Medicine, Department of Pathology. Transthoracic FNAC can be used with confidence to select treatment modalities and avoid unnecessary surgeries in patients with lung malignancies. When the diagnosis of small cell carcinoma is reached in a patient with a lung mass, a surgical treatment approach is no longer considered and chemotherapy becomes the treatment of choice 18 . As a result of EUS-FNA, thoracotomy thoracoscopy was avoided in 49 and mediastinoscopy was avoided in 68 in a study by Larsen et al 122 . According to Yasufuku et al 24 , cytologically diagnosed all the 5 cases of small cell lung cancer in their study were referred for chemotherapy. In the report by Larsen et al 122 , the direct result of the cytological diagnosis obtained by EUS-FNA was that a final diagnosis of small cell lung cancer was made in eight patients resulting in referral for chemotherapy, and in another three patients with benign disease specific treatment could be initiated (sarcoidosis, mediastinal abscess, and leiomyoma of esophagus). The objectives of cervical mediastinoscopy are to establish a histologic diagnosis of level 2, 4, and 7 lymph nodes and to assess the operability of central lung cancers. The indication for the operation is middle mediastinal adenopathy suspected from clinical history, chest X-ray, or CT scan. The more common etiologies of middle mediastinal adenopathy include primary malignancies, e.g., primary bronchogenic carcinoma granuloma-producing diseases of infectious etiology, such as Mycobacterium tuberculosis and Histoplasma capsulatum and granuloma-producing diseases of uncertain etiology, such as sarcoidosis. Their role in diagnosis is limited because of moderate sensitivity and specificity. The antiglia-din antibodies are found in intestinal secretions as well as in serum of patients with untreated celiac disease. However, these antibodies are also found in a variety of autoimmune disorders including rheumatoid arthritis, Sjogren's syndrome, sarcoidosis, inflammatory bowel disease, and cows' milk protein intolerance. IgA antigliadin antibodies have sensitivity of 75-90 and specificity of 82-95 . The IgG antigliadin antibodies range in sensitivity from 69 to 85 and have specificity of 73-90 they are useful in the diagnosis of celiac patients with IgA deficiency. Other than this use gliadin antibodies have fallen from favor as a screening test for celiac disease (National Institute of Health consensus panel). (Chapter 9), dermatomyositis (Chapter 14), polyarteritis nodosa (inflammation of the arteries), sarcoidosis (a rheumatic disease that may cause elevated calcium levels), and mixed connective tissue disease (Chapter 10) often have polyarticular arthritis in addition to their other symptoms. There are a variety of less common diseases that also may begin with polyarticular arthritis and should be excluded by history, physical, and laboratory evaluation. Children with chronic pains in their hands or feet without obvious synovitis should be evaluated for the possibility of other conditions such as Fabry disease or mucopolysaccharidosis. Sarcoid Sarcoid is a multisystem disorder characterized by non-caseating granuloma. There seems to be two overlapping patterns of clinical presentation in the juvenile population with skin, joint and eye disease in younger children, and lymphadenopathy, weight loss, fever, pulmonary involvement, but no arthritis, in older children and adolescents (42). Sarcoid is more common in the black population and females. Treatment is with steroids and a steroid sparing agent such as methotrexate or azathioprine. The diagnosis of tularemia is based on paired antibody agglutination titers. Biopsy specimens of affected lymph nodes will show abscess formation with caseating necrosis. In the latter stages of the disease, the histologic picture will demonstrate granulomatous inflammation similar to mycobacterial infection or sarcoid. Serum calcium measures the level of calcium in the blood. It may be abnormal in children with disease of the parathyroid gland, which secretes a hormone to regulate calcium levels. Sarcoidosis is a rheumatic disease that may cause elevated calcium levels. The level may also be abnormal in children with kidney disease, excessive vitamin D, or metabolic abnormalities. These problems may result in bone and joint abnormalities or pain if they persist for an extended period. Low calcium may be associated with severe muscle cramps. Rickets may cause problems in children who do not get enough vitamin D and is associated with a low serum calcium level and joint pains however, rickets is extremely rare in the United States because most dairy products contain supplemental vitamin D.
Inflammatory diseases include chronic granulomatous disease such as eosinophilic granuloma or histiocytosis, Wegener's granulomatosis, sarcoidosis, amyloidosis, cholesterol granuloma, and invasive cholesteatoma. Characteristic lesions within the middle ear or temporal bone on examination or imaging are aided with serologic testing (i.e., sedimentation rate, anti-neutrophile cytoplasmic antibody (c-ANCA)) and tissue biopsy for diagnosis. 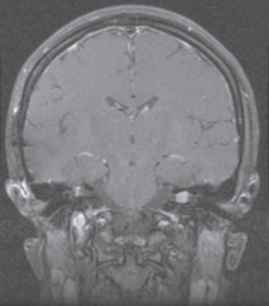 In cases of suspected systemic involvement, pulmonary, renal, and CNS function tests and imaging may be useful. When they are evaluated, some of the children with Sjogren's syndrome clearly have SLE these children are said to have secondary Sjogren's syndrome. Sjogren's syndrome is also a known complication of rheumatoid arthritis in adults, but it rarely occurs in children with juvenile arthritis. I have seen children with sarcoidosis who had Sjogren's syndrome and arthritis. Children who have dry eyes and dry mouth but lack other findings suggestive of connective tissue disease have primary Sjogren's syndrome. However, over time some children with what was thought to be primary Sjogren's syndrome ultimately develop more findings and are diagnosed with SLE. The only way to deal with this is to treat the Sjogren's appropriately (usually with hydroxychloroquine and low-dose steroids) and to monitor them carefully.